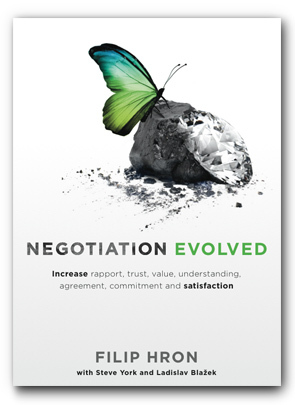 In the options toolbox section of the book I share a number of approaches that can each unlock agreement for groups of structurally similar negotiations. We have already shared the path of least risk in relation to the climate change debate. Today we’ll look at another tool; chunking. As humans we are lazy creatures by nature. We are designed to use mental shortcuts, rules of thumb, and simplifications wherever possible. This allows us to act swiftly in situations of danger. These shortcuts also free up our minds to do other things. But there is one big drawback – we are very prone to come up with oversimplified answers and solutions to complex problems. Without thinking about it, we launch into making a binary decision of “yes/no”, “for/against”, “right/wrong” or “agree/disagree”. But what happens when we deal with something truly complex, such as the issue of gun control? We predictably end up with two polarized camps that each takes firm, inflexible and incompatible positions on the issue. On the issue of gun control, parties typically bring up completely different arguments. Yet, they keep rushing to a conclusion on one overall decision: e.g. “more or fewer guns” or “more or less restrictive gun policy”. You get the picture. So what can we do instead? We chunk. I recall a saying: “Even if we don’t know how to make an angel statue out of granite, we can still start by removing the parts that are obviously not part of the statue”. Chunking is very similar to this. Let’s pick the sub-issues of gun control that we can obviously and trivially agree on. We may not resolve the entire issue, but we can make progress. Just agreeing on one sub-issue leaves parties better off than the previous stalemate. In fact, just agreeing to look for trivial areas of agreement leaves parties better off, because they are in agreement! Criminals convicted of armed robbery should not be allowed to carry guns, ever. People with specific diagnosed personality or behaviour disorders should not be allowed to carry guns. Gun ownership requires that the gun owner can guarantee that no one else will get access to the gun.